Daylight Saving Time (DST) is Sunday, March 11th at 2:00am, which means consumers will need to set their clocks, watches and more before they head to sleep to account for the time change. Casio America, Inc., with their connected EDIFICE Timepiece collection, makes the age-old hassle of changing the time on your watch a thing of the past during DST. With Smartphone Link Connectivity, EDIFICE Connected Timepieces, like the EQB800 and the EQB501XBL-2A, make time zone and time of year adjustments simple and easy. The EDIFICE EQB800 and EQB501XBL-2A connected timepieces feature Casio's Smartphone Link capability, which pairs with the wearer's smartphone with the simple press of the dedicated Bluetooth® connection button. 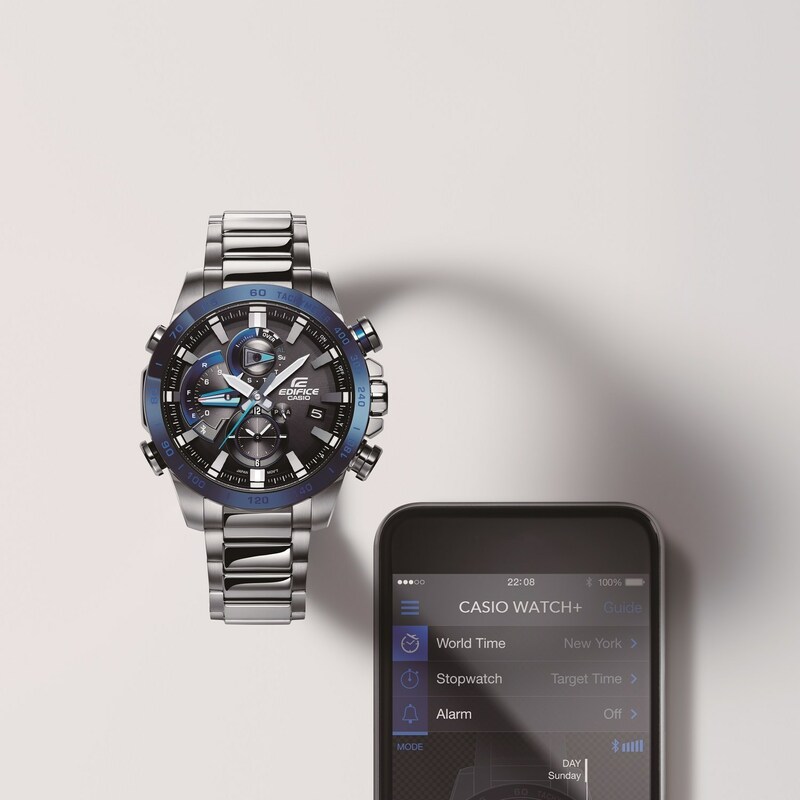 By downloading the CASIO WATCH+ app and connecting to a compatible smartphone via Bluetooth® SMART, the Bluetooth® enabled EDIFICE Timepieces can access the correct time for the current location and for over 300 cities worldwide, even updating with the latest time zone and Daylight Saving Time information. Users also have the capability to swap their specified home time and world time with the press of a button, as well as update alarms and other time settings. EDIFICE Connected Timepieces also have improved accuracy by automatically syncing, via phone, to a time server on the internet four times a day or they can be synced by a one-push reset to ensure ultimate accuracy. Casio EDIFICE Timepieces are available nationwide at select jewelry and watch retailers, as well as ShopCasio.com. For additional information on Casio's EDIFICE collection of timepieces, please visit www.EDIFICE.Casio.com.